Cloudy through the morning, and then mostly cloudy becoming mostly clear with a few clouds into the evening. Expect periods of rain throughout the day. Winds N 8 to 17 mph through the morning becoming NE 11 to 22 mph in the afternoon, evening with gusts up to 28 mph. Winds 6 to 15 mph through the morning becoming SW 4 to 13 mph in the afternoon, evening with gusts up to 19 mph. Partly cloudy through the morning, and then partly cloudy becoming clear into the evening. Winds NW 5 to 14 mph through the morning shifting to variable at 3 to 10 mph in the afternoon, evening with gusts up to 18 mph. Mostly clear with a few clouds through the morning, and then mostly clear with a few clouds becoming mostly cloudy into the evening. Chance of rain in the afternoon, rain in the evening. Winds variable at 3 to 10 mph through the morning becoming S 7 to 16 mph in the afternoon, evening with gusts up to 20 mph. Cloudy becoming mostly cloudy through the morning, and then mostly cloudy through the afternoon and evening. Chance of rain after daylight and then rain in the afternoon. Winds SW 8 to 19 mph through the morning becoming variable at 0 to 8 mph in the afternoon, evening with gusts up to 24 mph. Mostly cloudy becoming partly cloudy through the morning, and then partly cloudy becoming mostly clear with a few clouds into the evening. Expect periods of rain throughout the day. Afternoon winds near the top NE 14 to 26 mph with gusts up to 33 mph. Morning winds near the top NE 9 to 20 mph with gusts up to 25 mph. Afternoon winds near the top NW 14 to 26 mph with gusts up to 27 mph. Morning winds near the top NW 17 to 29 mph with gusts up to 36 mph. Afternoon winds near the top NW 18 to 30 mph with gusts up to 38 mph. Morning winds near the top W 4 to 13 mph with gusts up to 16 mph. Mostly clear with a few clouds becoming mostly cloudy into the evening. Chance of rain in the afternoon and then rain and snow in the evening. Afternoon winds near the top SW 16 to 28 mph with gusts up to 35 mph. Cloudy becoming mostly cloudy through the morning. Chance of rain and snow after daylight. Morning winds near the top SW 15 to 27 mph with gusts up to 34 mph. Snowfall expected to be a trace later into the evening. Partly cloudy becoming mostly clear with a few clouds into the evening. Chance of snow in the afternoon and then rain and snow in the evening. 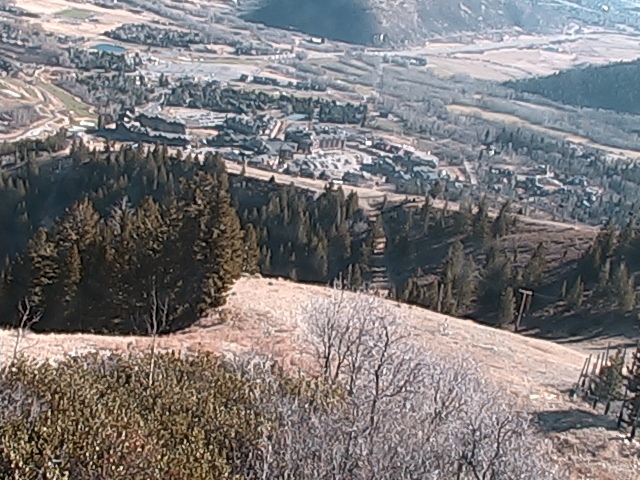 Morning winds around the base N 8 to 17 mph with gusts up to 21 mph. Afternoon winds around the base NE 11 to 22 mph with gusts up to 28 mph. Morning winds around the base 6 to 15 mph with gusts up to 19 mph. Mostly clear with a few clouds becoming mostly cloudy through the afternoon and evening. Expect periods of rain through the afternoon and evening. Afternoon winds around the base S 7 to 16 mph with gusts up to 20 mph. Morning winds around the base SW 8 to 19 mph with gusts up to 24 mph. Mostly cloudy through the afternoon and evening. Chance of rain in the afternoon. Partly cloudy becoming mostly clear with a few clouds into the evening. Expect periods of rain through the afternoon and evening.